BERGMAN CONCRETE CONSTRUCTION, INC. Is a family owned business that has served Kokomo and Central Indiana with quality concrete work for over 50 years. Our installers excel at placing all types of concrete with customer satisfaction assured on every job. The concrete staff at BERGMAN CONCRETE CONSTRUCTION, INC. specializes in all kinds of commercial and residential concrete jobs. We do standard concrete, custom-stamped, stained and stenciled concrete. The concrete crew at BERGMAN CONCRETE CONSTRUCTION, INC. have a long-standing reputation for delivering top-quality commercial and residential concrete work each and every time. So, the next time you’re looking for a concrete contractor, don’t take a chance – call the proven professionals at BERGMAN CONCRETE CONSTRUCTION, INC. 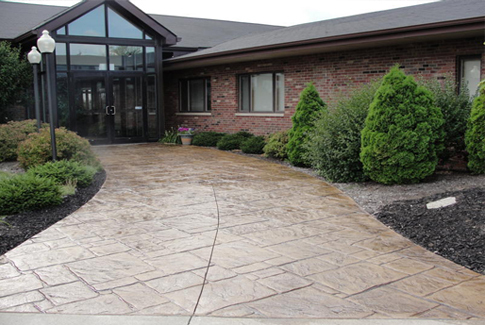 Call us today at (765) 457-1016 for a free estimate on your next concrete project. If you prefer email, you can contact us at rcbsnow34@sbcglobal.net.